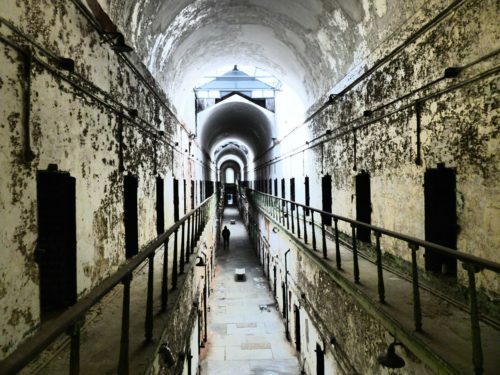 Over the past few hundred years, Philadelphia has served as a Quaker colony, a meeting place for the Founding Fathers, the long-ago capital of the newly formed United States and, more recently, the birthplace of one very beloved cheese-drenched steak sandwich. If I had to describe Philadelphia in 1 word, I would say that Philadelphia is unexpected. On one hand, this is a city that is as beautiful and austere as you would imagine, full of historic landmarks, museums and lovingly-preserved buildings. But amidst all of the austerity is an underlying hipness and modernity. This is a city that values creativity, art and taking chances. 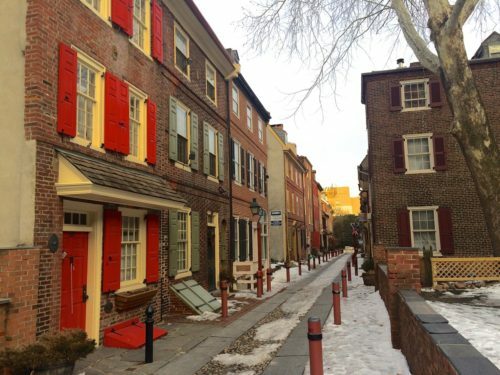 From its 3600+ murals (a 30-year public art project rooted in a desire to stop graffiti), to its pop-up beer gardens hosted by the Philadelphia Horticultural Society in underutilized public spaces, to its notable restaurant scene that has turned vegan food into fine dining, Philadelphia is full of unexpected gems for tourists looking for a diverse weekend getaway. 1.) Jump aboard a double decker with the Big Bus Tour. 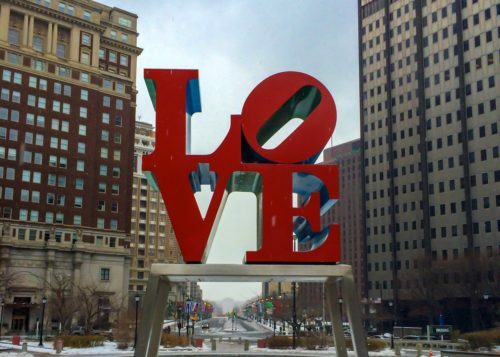 Philadelphia first-timers and veterans alike will all find something to love about the Big Bus Tour. 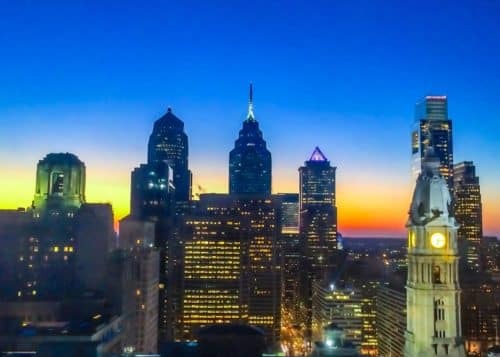 Over the course of 27 stops, newbies will get their bearing and learn where to find all of the city’s best attractions, while even Philadelphia experts will learn something new during the entertaining and informative tour. Jump aboard at the Independence Visitor Center (Stop #1) and stay on for the whole 1.5 hour round trip before plotting your next move. TIP: Grab a 2-day pass, so you can hop on/off to your heart’s content. $32 (adult), $30 (senior), $10 (children 4-12). All aboard the Big Bus! Once you’ve completed the Big Bus circuit, hop off the bus at the Visitor’s Center and explore some of Old City’s most notable spots. 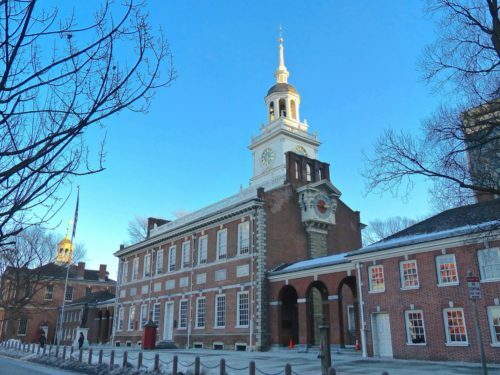 Independence Hall: The birthplace of the Constitution and the Declaration of Independence. 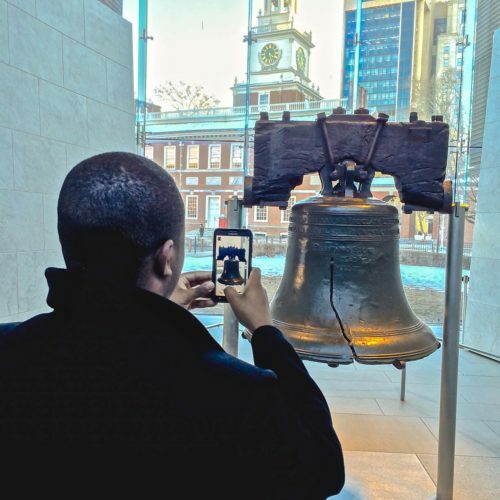 And, of course, the Liberty Bell: The original symbol of American freedom and perseverance. From the Old City, walk about a half mile along Market Street to Reading Terminal Market. First opening its doors in 1892, today the historic market has over 80 vendors and sees around 17,000 visitors each day. From roast pork sandwiches at DiNic’s to deep-fried Pennsylvania Dutch treats at Beiler’s… it’s safe to say that there is something here to satisfy any craving. 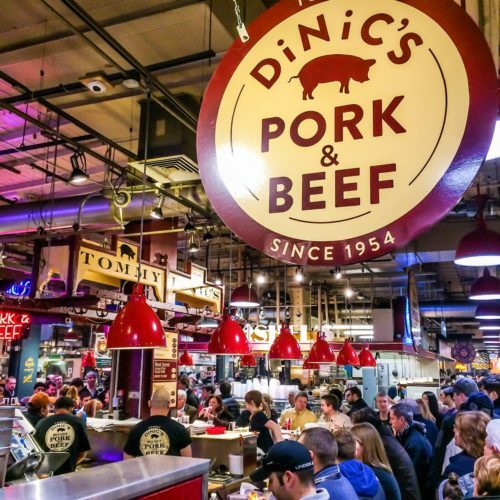 But if you can’t decide, here are my picks of the best things to eat at Reading Terminal Market. By now, it should be late afternoon– the perfect time to check into your chosen hotel! 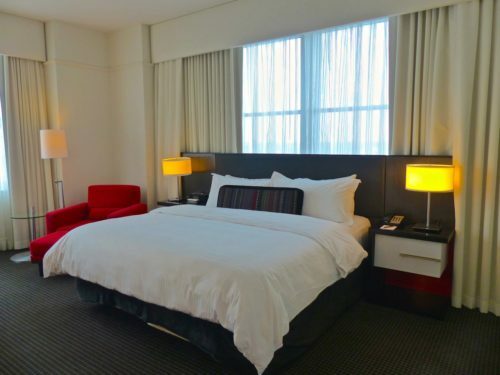 TIP: Request a room on the upper floors to get treated to a spectacular view of the Philadelphia skyline. Wowza! 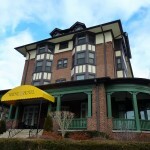 Vintage: A rustic wine bar known for its flights and a impressive list of wines and beers. McGillin’s Olde Ale House: This Irish pub is the oldest bar in Philadelphia with a solid beer list. 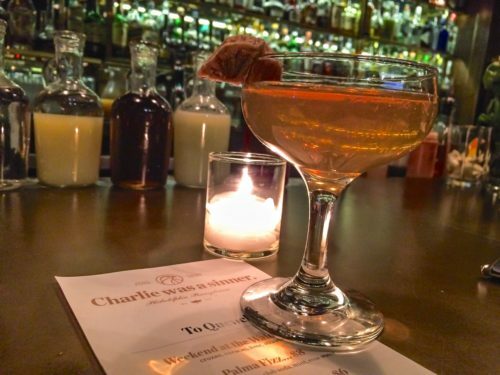 Charlie was a sinner: A small, dark restaurant with a speakeasy feel, known for craft cocktails and upscale vegan bar food. A bourbon cocktail from Charlie was a sinner. is a MUST! After a drink (or two) head out for dinner at one of Philadelphia’s many standout restaurants. 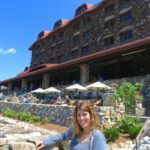 Yelping a restaurant is half the fun, and I don’t want to ruin that for you (! ), but to get things started I’ll share my favorite meal in Philadelphia: Talula’s Garden. 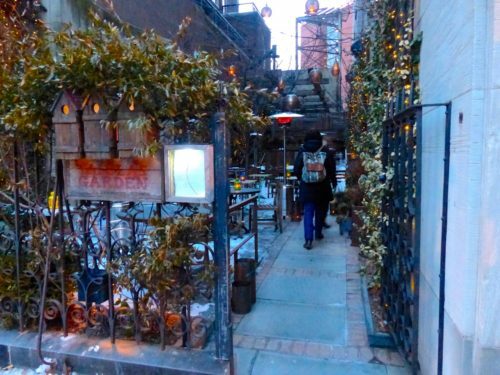 The entrance to Talula’s Garden– I imagine these outdoor seats are a hot ticket in the warmer months! 7.) Rise and shine! 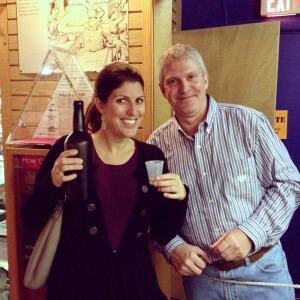 It’s time to start the day… in jail! 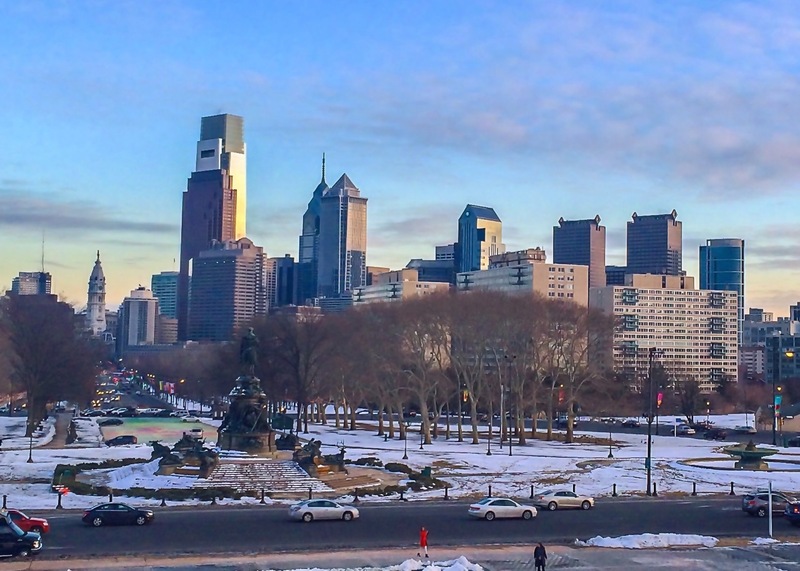 The Benjamin Franklin Parkway is the cultural hub of Philadelphia. 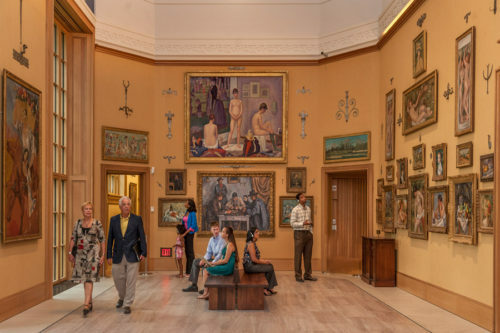 Running diagonally through the heart of downtown, a strip of green space is flanked by the city’s best museums. 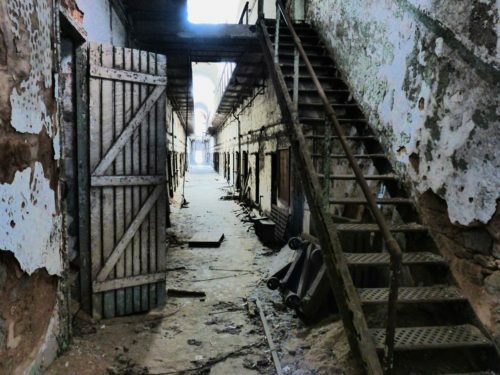 From the Penitentiary, it’s about a half mile walk to the Philadelphia Museum of Art, which is a good place to start. 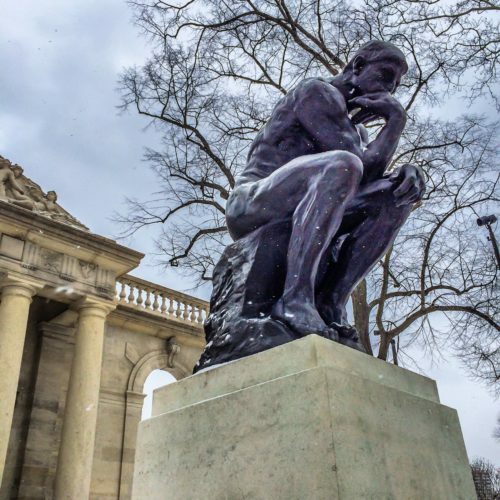 The Rodin Museum, one of the largest collections from the thoughtful French sculptor. 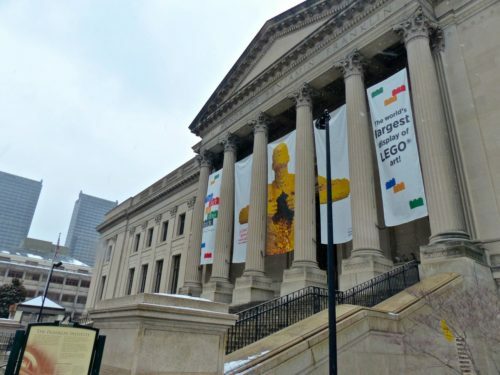 Kids will love the fun and interactive science-themed Franklin Institute. End the trip with a Philadelphia staple, the Philly cheesesteak. 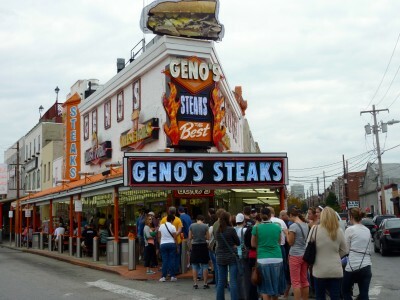 Two places, Pat’s King of Steaks and Geno’s Steaks often vie for the title of “best cheesesteak in town,” and their extremely close proximity to each other (they share opposing street corners) makes deciding the winner convenient for travelers just passing through. 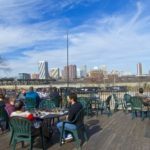 It’s a little far out of downtown, so it’s the perfect place to stop as you prepare to leave the city and head home. For my verdict, and the lingo needed to order a cheesesteak like a local, check out my post: Pat’s vs. Geno’s: A Philly Cheesesteak Taste Test. 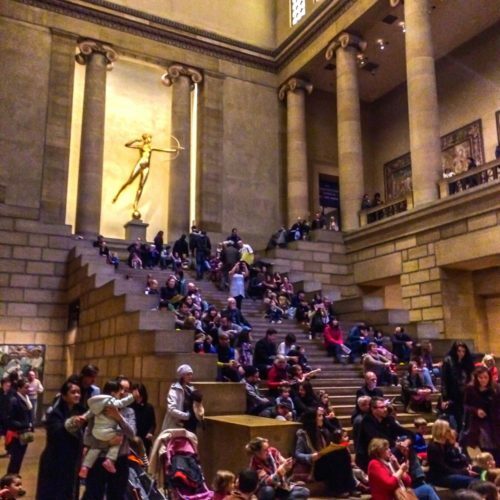 DID I MAKE IT TO ALL OF YOUR FAVORITE PHILADELPHIA ATTRACTIONS? SHARE YOUR THOUGHTS IN THE COMMENTS BELOW! 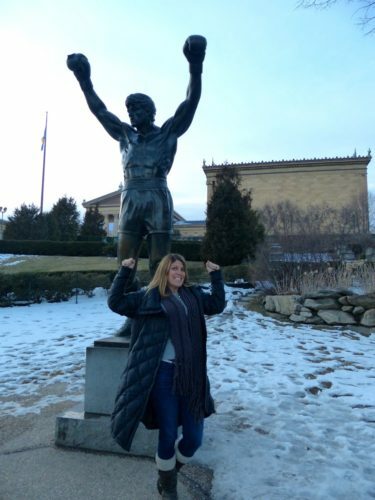 You can’t visit Philadelphia without taking a picture of the Rocky statue and eating a philly cheese steak. Pat’s is actually my favorite, but they’re both really good. Hi! I came across your page while searching for ideas for seeing Philly in two days. My husband and I will be traveling up there via Atlanta, GA the first week in November. We plan to spend two days in town, Sunday/Monday. We are looking forward to seeing as much as we can since we’ve never been there before. I love the places you wrote about so far. Do you have any more suggestions? We won’t be spending the night but will be taking a train back and forth from our friend’s house in North Wales. It will also be just the two of us, no kiddos. Any and all help would be appreciated! Thank you!!! Thank you!!!! Soo very much. Visit almost every placed you recommended it was amazing, would definitely come back. My family in FL will love Philadelphia too. We spent an entire day at the Franklin Institute. My kids loved it! There’s so much to see and do. We also loved the Franklin Fountain. Yummy ice cream! 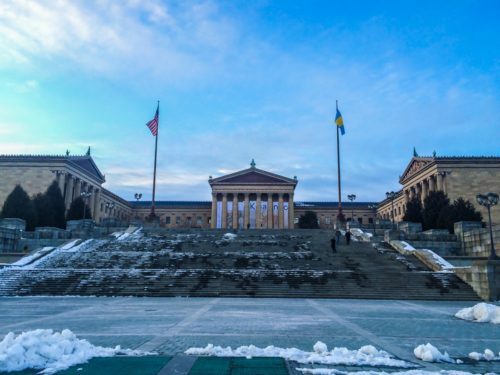 We ran the Rocky steps at the Museum of Modern Art but didn’t realize it’s closed on Mondays. I am pleasantly surprised to see all that there is to do in Philadelphia. I really would love to spend more time there and see more of the museums. We always travel with the kids and often ask them what is on their bucket list of places they want to visit. At the top of my son’s list is Philadelphia! He would be thrilled to use this information for a trip. 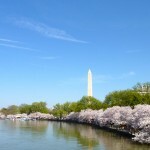 There are so many wonderful spots in the US to visit. We love to read about our destinations before we go to help the kids appreciate our journey even more. I love your comments about the restaurants. 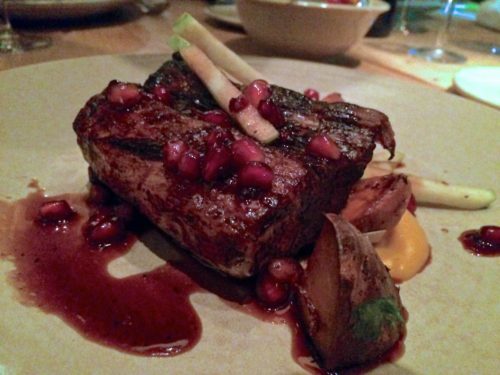 We went to Talula’s garden and the food certainly did not disappoint. Even my 7 year old appreciates the subtle flavours. Your guide is very helpful and well thought out. Thanks you. We really enjoyed philly. 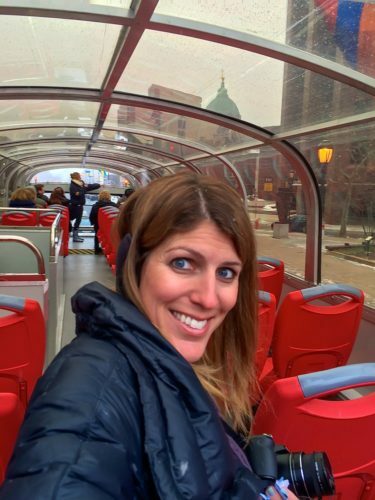 I have a question .Was this trip as a solo traveler ? Or you had company? I’ve done it both ways! Though cities are great locations for solo travelers. 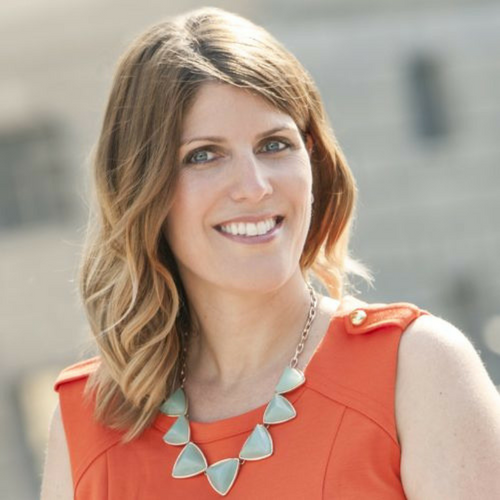 My Most Popular Post… Ever!